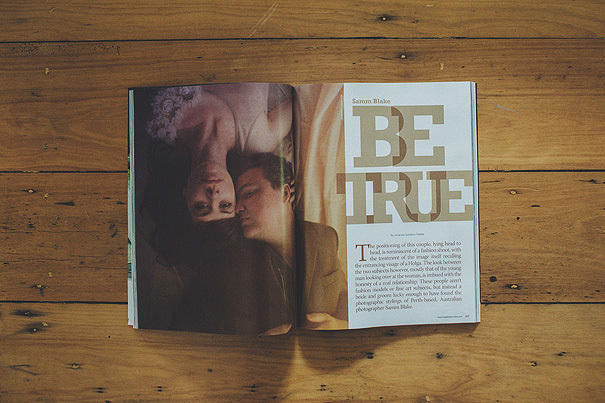 When I was starting out in weddings, I had this goal to one day be published in Rangefinder Magazine. 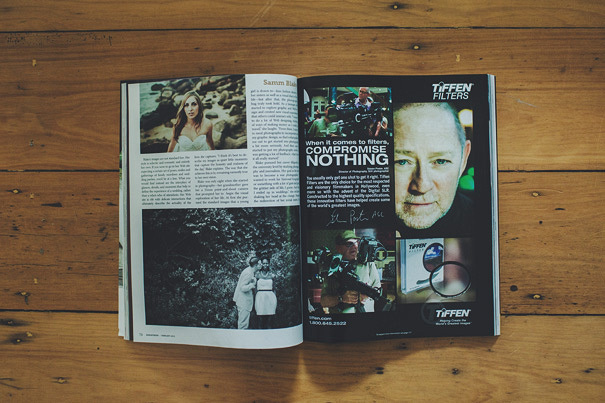 Its an American photography magazine that has a huge distribution around the world. Very happy to say, it has become a reality. 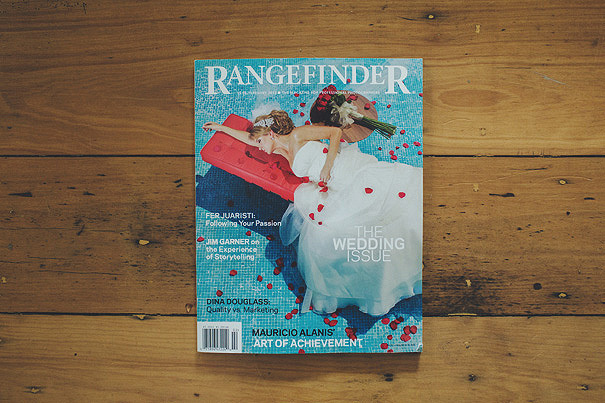 I was interviewed and featured in the February 2012 of Rangefinder Magazine. I was interviewed by Amanda Quintenz-Fiedler. The following text is the article she put together for Rangefinder magazine. I liked how and very thankful for, how she put all my random rambles together and made sense of it all to produce the following article. 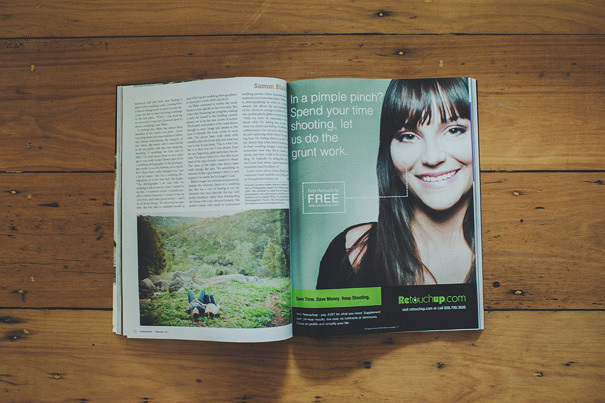 Written by Amanda Quintenz-Fiedler for Rangefinder. February 01, 2012 — The positioning of this couple, lying head to head, is reminiscent of a fashion shoot, with the treatment of the image itself recalling the entrancing visage of a Holga. The look between the two subjects however, mostly that of the young man looking over at the woman, is imbued with the honesty of a real relationship. These people aren’t fashion models or fine art subjects, but instead a bride and groom lucky enough to have found the photographic stylings of Melbourne-based, Australian photographer Samm Blake. Blake’s images are not standard fare. Her style is eclectic and romantic and entirely her own. If you were to go to her Web site expecting a certain set of poses, smiles and gatherings of family members and wedding parties, you’d be at a loss. What you would find instead are the interplays of glances, details, and moments that help to define the experience of a wedding, rather than a who’s who of attendants. Her Web site is rife with delicate interactions that ultimately describe the actuality of the lives she captures. “I think it’s best to describe my images as quiet little moments that capture the honesty and realness of the day,” Blake explains. The way that she achieves this is by remaining earnestly true to her own vision. Blake pursued her career diligently at the university level by studying photography and journalism. Her goal at the time was to become a war photographer. “I wanted to work for National Geographic or something with a lot of gore and guts; the grittier side of life, I guess. And then I ended up in weddings,” she exclaims, shaking her head at the change. Despite the redirection of her initial intent, her technical skill and style were finding a place in her wedding work. Coming from a fine art background, it wasn’t an easy decision for her to start shooting weddings in the first place. “When I was studying at university it was very frowned upon to shoot a wedding,” says Blake. If nothing else, Blake has always been steadfast in her career and path— never worrying about the expectations of others and always maintaining the integrity of her vision. She stuck with it and started to be successful with her own business, shooting 15 weddings her first year in 2003. “Up until about three or four years ago it was really looked down upon to be a wedding photographer in the photography world. It was the bottom, so to speak. But I think that’s really changed now. I get a lot of respect that I’m a wedding photographer, so it isn’t that bad,” she laughs. “The photography I do now with my wedding work is exactly what I wanted in my life—I wanted to travel, I wanted complete creative freedom, I wanted to be my own boss, and make good money— and I do all those things.” By following her passion, she was able to establish herself as one of the top ten wedding photographers in Australia in both 2009 and 2010. Rather than just pursuing her technical evolution, Blake was very conscious of doing her best to find out who she was so that her own emotions and perspective could be accurately portrayed in her photography. It seems the more she knows who she is, the more universally appealing her images be-come. When she is at odds with herself or unsure of her own artistic vision, she feels her work shows it. “How I am feeling and how I interact with people is so crucial to how my photography looks and the end result. A lot of people are not in tune and aware of that relationship. They just go out and shoot and are not paying attention to themselves.” It is a pitfall that Blake believes negatively affects their resulting images – pre-venting the photographer from being present in their own im-ages. Now that she can see her own resistance plainly, she can help others to see past theirs, and can continue to create her own work without obstacles. Her philosophy in all these aspects hasn’t changed – find out who you are, be true to your-self, and your images will show it.